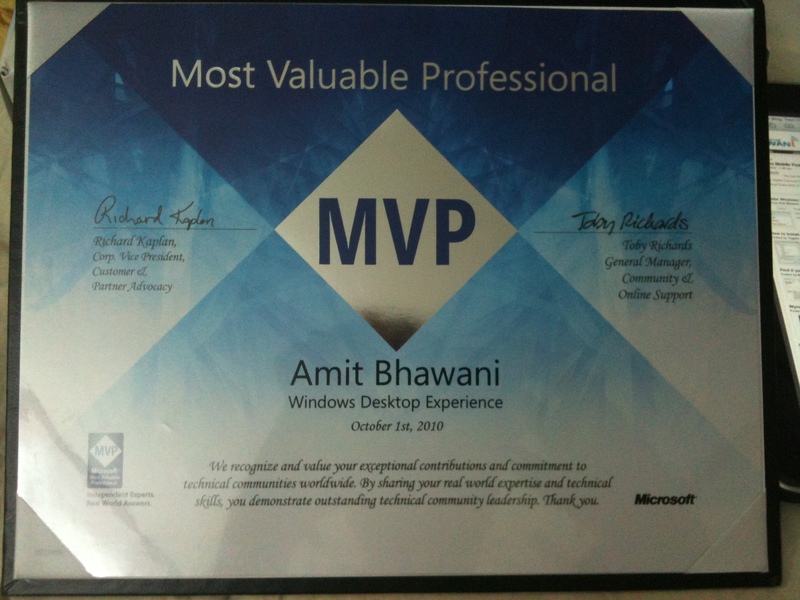 The Microsoft Most Valuable Professional (MVP) Award is an annual award that is given to outstanding members of Microsoft’s peer-to-peer communities, and is based on the past year’s contributions those members make in those communities online and offline. Why does the award exist? Microsoft believes that a robust, interactive user community is key to helping customers maximize the solutions and benefits from their software investments. The MVP Award is the way Microsoft recognizes those participants who have made a highly positive impact in the technical and product communities in which they participate. Microsoft wants community participants and leaders to know that their contributions are greatly appreciated. The MVP Award exists as a way to reach out to and thank outstanding members for their past participation and willingness to help others in these communities, both online and offline. 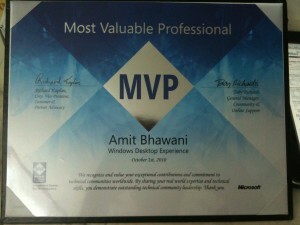 How does Microsoft award the MVPs? The MVPs are awarded through a nomination period where their past year’s contributions to the technical community are compared against those of their peers. Recipients of the award are determined through review cycles in that nomination period. Are Microsoft MVPs experts in all Microsoft technologies and products? No. Although many MVPs have in-depth knowledge of more than one product or technology, none of them are experts in all Microsoft technologies or products. No. MVPs are not employees of Microsoft nor do they speak on Microsoft’s behalf. 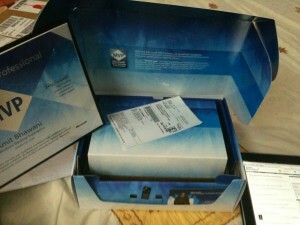 MVPs are third party individuals who have simply received an award from Microsoft. good news,my hearty congrats,really you deserve it!!!! Hi Amit, Congrats on the award. The competition must have been stiff! Congrats man. You deserved it. Sincere congrats from me, Mr. Bhawani! congrats amit bhai, well deserved..
how can I get such an award? what to do i mean? Amith , Congrats for the MVP Award. Keep Going. Hi Amit, This is really a great news for you to celebrate. Congratulations on receiving the MVP Award. Congrats. It shows the sample of your efforts. 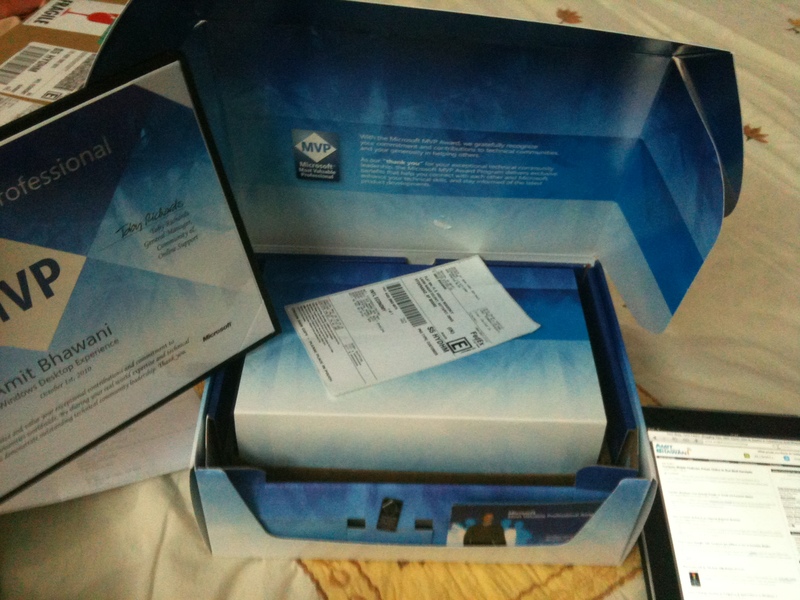 Congrats,Saw your photo in microsoft.com profile,your are so cute,are you married MR Amith? Congratulations Amit Ji. One more achievement added in your success. You are really great. Congrats Amit, You deserve it. Well it is working for me. May be you can try out different browser like Firefox! Amit you really deserve this award. congratulation sir, u deserve that… as u r among the top 10 entrepreneurs of India in website making…..
u deserve to be top 10 website developers of India.. best of luck for your future ! HATS OFF MR.AMIT BHAWANI. You deserve all the accolades,wish you lot more success in future.